As a young woman, the outside world saw me as "living the dream." I owned a nice home, had great kids, an awesome job, and what seemed like the perfect relationship. No one would have ever guessed what was happening behind closed doors. How I was being treated at the beginning of my relationship was a far cry from how I was treated throughout. I was living a life of pain and torment. My fear of letting go of this hurt consumed me. I didn't know anything else and am ashamed to say I began to believe my own excuses. As time went on this became my lifestyle. I was physically exhausted and it was very hard to keep up the facade of being happy. I had no balance or harmony in my life. Knowing I was responsible for letting my situation get this far was agonizing. During this relationship I was secretly journalling, writing down day-to-day encounters and how they impacted me. Journalling helped me manage all the verbal attacks and acts of unkindness. My life was made up of so many, "one more days." I suddenly had to admit that if I was going to become more vested in my life, rather than just a day, I would need to take control of what was happening to me. When the relationship finally ended no words can adequately describe the liberation I felt. This was my inspiration to write "Pain Behind Broken Vases." I am honored as well as compelled to help others heal from the hurt that they are carrying inside of them. I am in a wonderful place where everything has come together and I have access to people that need help. I have come to the realization that our lives are our reality, not the rosy one we may pretend exists, but what really happens day to day and how it makes us feel. That's where the quality of how we live is defined. 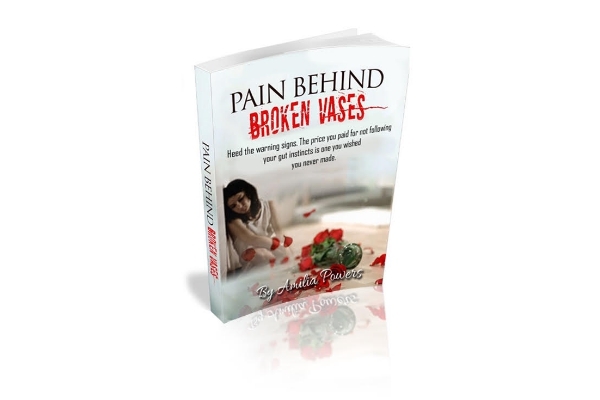 I wrote "Pain Behind Broken Vases" to help bring women hope through my story. 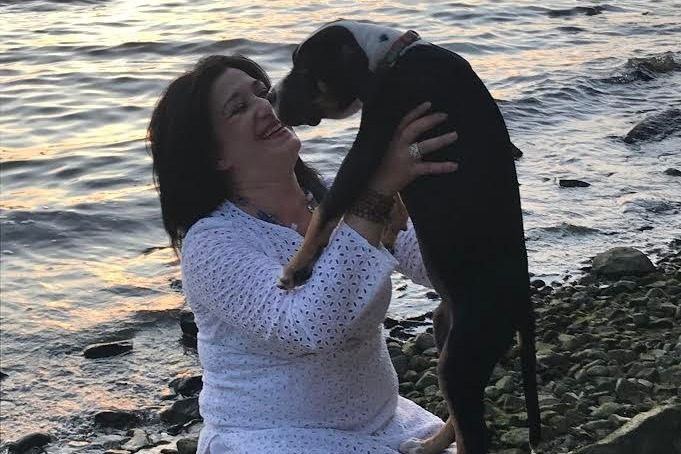 Helping guide women to the life that gives them determination, hopes, love, and emotional freedom is what I do, and through my book, women can find the courage to stand up and find their voice again. What do the Expenses Cover? The funds I am requesting will help me publish Pain Behind Broken Vases, as well as my, follow up series, Picking Up the Pieces and workbook, From Shattered to What Matters. This series of 3 books will also help me create a community to empower women to live enriched and empowered lives. My retreat will be scheduled 90 days after my first book is released. My goal is to publish my first book in the series before November 18th, 2018 and continue to publish the series before the end of the year. Raising these funds before April 30th will help me stay on schedule with printing and marketing. 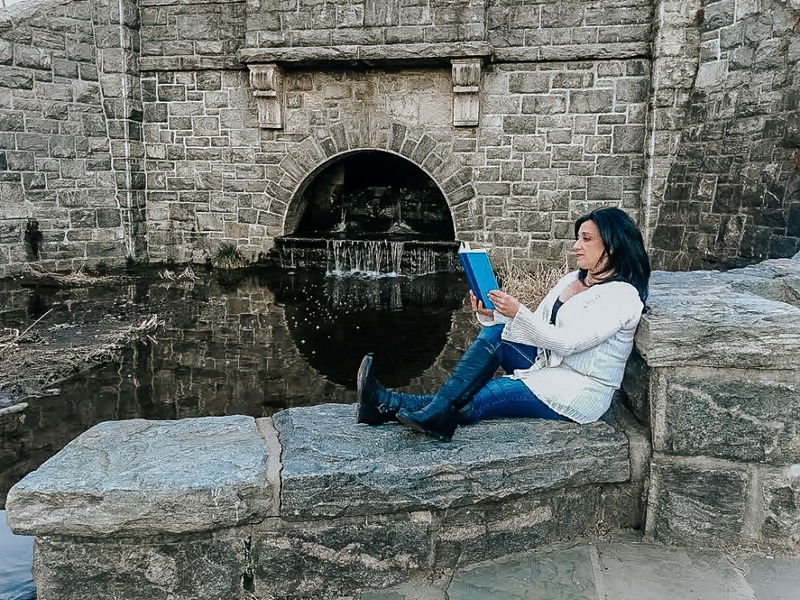 By helping me publish my book and upcoming series, you are directly part of encouraging and empowering women to stand tall and make a change in their lives. Thank you Carter for your support and kindness. I am Amilia Powers, author of "Pain Behind Broken Vases." This book, was written from journaling my everyday encounters with women who have endured pain from abuse and are struggling to overcome. Not knowing the day would come when I would have to endure the same hurt they felt. This book carries a very important message to help guide women from the torment they carry inside their heart, and give them hope to pick up the pieces, to live healthier more loving lives. I am Amilia Powers, author of the book series, Pain Behind Broken Vases, Picking Up the Pieces, and From Shattered to What Matters. I have written this series to shed light and hope for women that are living through domestic violence. My books are meant to help nourish their emotional recovery and growth. I hope my books will provide a method for women to see themselves as victorious in their life. Thank you for your 10.00 donation it will help me get closer to my goal. You will receive a personalized meditation created specifically for your situation. You will begin your day with renewed hope and courage. You will receive a customized meditation and signed 1st copy of Pain Behind Broken Vases once it is published. You receive a personalized meditation, signed 1st copy of my book, a 1:1 45-minute consultation, and we will add your business as a sponsor on our website. You will receive a personalized meditation, a signed copy of my 1st book, 45-minute consultation, a sponsor on my website and a free ticket to my first retreat.